"Hootsuite for all things social"
I love Hootsuite's column feature. It allows me to easily see conversations, mentions, and keep up with my keyword searches. I also love that I can do a geolocation search. This is especially helpful when there is an event going on in my area that I want to keep up with what people are saying about it. I dislike that Hootsuite insights are not mobile friendly. That would be extremely beneficial for me when I am working events and still need to keep tabs on certain situations that need to be monitored more carefully. I also wish that I could do more with Instagram on Hootsuite. Some of the data you can get in Instagram's app is not available on Hootsuite, and it would be really helpful to have all of that data in one place. Hootsuite helps my team and I schedule content for Facebook and Twitter - which definitely helps our workload. We also use this tool when creating social media reports. It has been really beneficial for us to collect data and be able to report to others how our content is performing. "Not super impressed, to be honest!" "Best thing that happened for Social Media Managers"
"Can Hootsuite keep up with the ever-changing social media platforms?" I love how vast Hootsuite is. You can use Hootsuite for social media analytics, posting, sharing or blogging, measuring your performance, content management, I can go on for days. I downloaded the mobile Hootsuite app for Android to my cell phone, as well as added the Chrome extension to my browser. I am actually having one issue currently with content that posts to my company Facebook pages. When I use the AutoSchedule feature and this includes a little backlink that will send clickers to the desired location - my problem is when I use this feature for Facebook, it does not include the Owly Link. Only on Twitter does it include the link. I contacted support but he was asking for a screenshot and at the time I was unable to further assist him with the information he needed. I will revisit and contact support at a later date. I would recommend adding Hootsuite to the budget if social media (content) managing is in your line of work. They take loads off your shoulders with their easy-to-use extension, mobile app, support bot, help desk, and AutoSchedule Feature. Also the different Streams you're able to use or create can come in handy. I use Hootsuite across multiple platforms including my cellular device and my desktop computer via the Hootsuite Chrome extension. I use the tool to share, re-blog, post, and create content. I also love the ease of measuring your analytics. No new vocabulary to learn or fancy gimmicks. "Manage all of your social media in the same place"
We manage multiple social media's accounts from our clients, so having a tool where you can schedule various posts across all platforms in one place is a blessing for us. Hootsuite allows us to create, customize, organize and automate all kinds of publications on the different social networks, even adding images, videos or other enriched media to each post when it’s needed. But you can do more than create social media's posts on Hootsuite and schedule them, as you can also keep a track on the different metrics to see what's causing an impact and what not. Hootsuite allows us to write a correct post to the whole team, as you can share information with other team members and perform cooperative writing, so the entire social media team can keep a track in all the work that's being done in real time. Synchronizing Hootsuite with all the social media is a natural process, as the platform itself is intuitive and user-friendly, and even if you don't quite understand some things at the beginning, they have fantastic tutorials included, about how to use the platform or how to run better social media campaigns. Sometimes the Hootsuite's platform has account reconnection problems, as it unexpectedly disconnects itself from some of the social networks accounts and, therefore, the schedule posts fail to be published, and this is something that needs to be fixed soon. Another big flaw in Hootsuite is that you are not able to track the newest social media's trends, so you have to waste some time searching the trends on the different social media to keep your posts fresh and updated. The platform is easy to use and highly intuitive, so much that you can schedule the wrong post in the wrong platform without notice if you are not careful enough, so it will be nice to have a way to keep your different social media's accounts organized to avoid making mistakes. Pay attention when you are creating new publications, as you can easily send everything into the wrong account if you aren't careful enough. Also, you should take some time to learn how everything works and all of the fantastic features that Hootsuite offers you. Thanks to Hootsuite, now our social media management team have a tool that optimizes the social media's posting process, and this allows us to be able to manage a more significant number the clients in a more efficient way. With Hootsuite is easy to manage all the social media's accounts that we need in just one place, without wasting time making manual publications on each one. "We manage the networks of our company and save time with HootSuite"
In our company we needed to manage our own social networks and doing it one by one took time away, as well as making publications, taking into account the characters, programming, etc. And the program that facilitated us to do this and manage several accounts in one place was HootSuite! With this program our accounts are always updated and monitored and the best thing of all is that we can dedicate time to other activities leaving scheduled publications. We can only mention that if you are a small company maybe your payment plans are somewhat costly but honestly for us every dollar is worth paying to have other features that help us to manage more easily, efficiently and quickly social networks. Our company has grown with the benefits provided by HootSuite, since it saves time that we can dedicate to other work activities and we save time by leaving publications and campaigns programs, this has given us a great advantage since our social networks are always updated. It is also very easy to integrate this program with other external tools such as shorteners, RSS feed, Google Drive, SoundCloud and Salesforce. "Easy to manage our social networks and that of our clients"
HootSuite has been the best program that our company has found to manage accounts in social networks. We have used its free version and the payment, so we can say with certainty that the two are worth it, even if you are a small company, with the free plan you can manage 3 different social networks. From creating, editing and programming publications, all in one place. 1. Identify or improve the scope analysis for real people as well as for bots. 2. To see who retweet our publications. 3. And the price, if your company is small you should consider if you can really afford the payment plan, but I already tell you that the free plan is very good. HootSuite is an excellent program that can help you improve the time of publication and the administration of social networks, whether personal, social networks of your own company or third parties (clients). We recommend 100% HootSuite. To our social media work team, HootSuite has saved you time that you can devote to other activities. This program is very organized, it integrates very easily to various social networks and third party programs such as Box, Dropbox, Google Drive and others, so we can not only work with social networks but also with other platforms. In addition to this, it has a scheduled publishing option that is very good and helps us to leave publications of up to weeks or months already prepared. "It is effective to manage multiple social networks at the same time." The process of creating publications is very simple. It is possible to program a message and attach files in a very short time, which greatly facilitates the work for any community manager. For most of the cases the free version is enough to carry social networks despite the limitations. If Hootsuite would allow me to see the people who retweet my posts then I would give it the perfect score. Since I met Hootsuite I fell in love. With Hootsuite I have been able to increase the number of followers enormously and has made the social networks of my company well positioned. It is simply excellent. I use this platform to carry the social networks of my company. I am using both versions, the free version for my personal networks and the paid version for my company's use. It has been very beneficial for me since I can schedule the publications well in advance and this allows me to save a lot of time that I can use it in other types of tasks. "Manage social networks easily with HootSuite"
HootSuite is the best program to manage our social networks! With the free plan we can manage three accounts at the same time, we currently manage Twitter and Facebook of our company. This program undoubtedly saves us a lot of time since there is no need to directly enter our social networks, if not everything we handle from the HootSuite platform, from creating publications, editing, programming and more. The only problem we have found in HootSuite is that it has no way of detecting if the traffic received by our networks is human or bots and this obviously can affect the visits graphs. Use HootSuite! It is the best thing to manage your social networks and that of your clients, from program, edit, create publications and much more in my same place, is what you can find in this program. You can also use your free plan that has good features and you can hire a payment plan you will have many more features. With HootSuite working our accounts or that of our clients is much easier, since we can create a publication and send to different platforms, it also saves us time when programming them and deciding what day and at what time they should be published. It should be mentioned that we can also create integrations Adobe Stock, OneDrive, Trello, Salesforce for Hootsuite and many more. And most importantly, it is also safe to use it since we can activate the two-factor authentication. "Hootsuite has captivated us with its tracking of metrics"
We really liked the editing possibilities that hootsuite brings to the publication of a post. In addition, it is quite reliable, since each post scheduled is always going to be published. There are no mistakes with that, and the process is usually quite fast. We like your support for Facebook and Twitter, and allow you to manage different profiles of social networks simultaneously. The latter is excellent when it comes to organizing and saving time. We do not like the integration between hootsuite and Foursquare. It does not have a good support that allows it to be installed on desktops, which makes it a bit limiting when having to always use the web service. Now, the platform tends to collapse if you work with several computers, since it is only allowed to have up to two users connected to hootsuite, having to work on document creation platforms for later programming. Your publication schedule is perfect to learn about what other community managers of our team do. We recommend learning how to use the service, since it brings many advantages of editing and programming posts. Since we started using hootsuite it has been much easier to work with the list of network accounts that we have added. His system of tracking metrics has been very useful to know at all times about the performance of our publications, and thus create sales strategies based on the feedback collected. "Makes my life much easier!" I like that I can schedule all my posts for the week when I am going away, and I can also plan a few days in advance when I am in the office. I also like the ability to preview before the posts go live. This may be about to change with the launch of their new editor, but at the moment if you want to edit a post after you have scheduled it, I can't see a way to edit the post across all the platforms, I have to perform the same edit in each one. But it is a minor one, I can live with it. Trial it and then decide. You might not look back. I can ensure we have a continuous presence across our social platforms even when I am out of the office. The ability to preview my posts also means I have a second chance to spot errors and amend before it goes live. 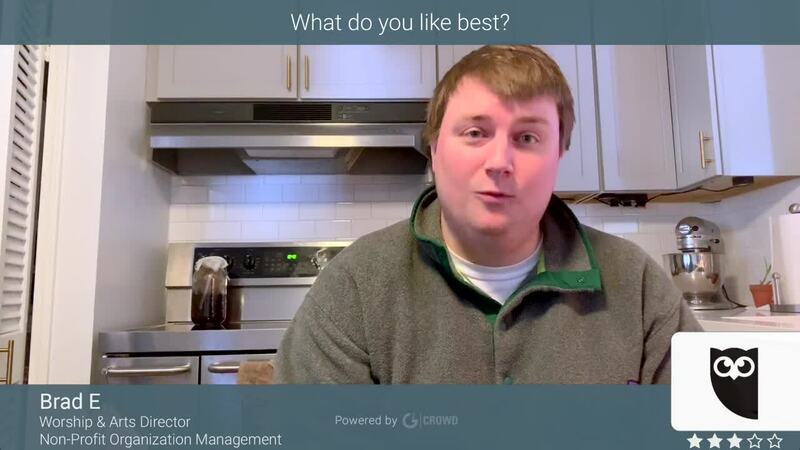 "The best program to manage social networks"
I love HootSuite because it's a complete program. We can perform different jobs and manage different networks or platforms in one place. From publish, share, schedule publications, analyze content and much more. We can also use HootSuite from the browser or mobile application, which we think is very comfortable and allows us to keep up with the work no matter where it is located. So far the only thing that has caused us disgust, is that HootSuite has the option to add a link to the publication but the link is not published! Or at least on Facebook, at least on Twitter it is published without any problem. But for the rest, we believe that HootSuite is the best platform to manage networks. We strongly recommend using HootSuite in your small, large or medium-sized company, even in your social network accounts to give them a good administration, in addition to being able to carry out a good monitoring and monitoring. Undoubtedly, for us, using HootSuite has improved the time for answers, publications, approaching our clients and dedicating time to other work activities since it takes away a burden from our shoulders. With HootSuite we can manage our social networks. Track each social network separately or together, see the share of our users in our publication. Make publications of sales promotions or news. It also has an option to schedule publications that saves us a lot of time when working in our networks. "My photographic work on social networks is recognized thanks to Hootsuite "
The most reliable platform I have used to expose my photographic work on social networks is Hootsuite. The benefits this software brings to my career as a photographer are amazing. Thanks to Hootsuite I can use several of my social network accounts in a single central panel, a feature that allows me to permanently evaluate how the public interacts with my post I make about my photographic work. I can keep track of how many likes and comments my publications receive, having a fairly fluid communication with my audience and clients. Hootsuite offers me options to increase user traffic through my social networks as I can program content to be uploaded to my social networks according to the hours where there are more users on social networks, I can keep my accounts on social networks active permanently and have daily content with my photographic work. One of the options that I take most advantage of Hootsuite is that it has an option that allows you to make usage statistics, being able to observe how many users visit your social networks daily, how many likes and opinions of users you have and thus take new business opportunities based on the exposure of my photographic work. Before using this software I used my social networks separately, and exposing my photographic work and tracking it was quite difficult, at such a level, that sometimes I didn't answer in time to my clients and lost business opportunities. But since I use Hootsuite all this has changed, now I can effectively track my social networks thanks to the features offered by this software, which are very complete and have not caused me problems. Hootsuite is a very complete software and with options that will allow you to manage your social networks in the best way. Hootsuite is a software that has no competition, as it allows you to manage all your social network accounts taking elements as important as the presentation of content, ideal times to publish your content, a central panel that allows you to manage several social network accounts at the same time, and a fairly easy way to use. I recommend this software. Hootsuite has been a very effective solution to manage my social networks and this I can confirm in the use of my social accounts simultaneously, an option that only Hootsuite offers me, now I have a better relationship with my clients in social networks and I get better business for my photo editing work. Hootsuite has made my work have a better exposure and many more people know it. 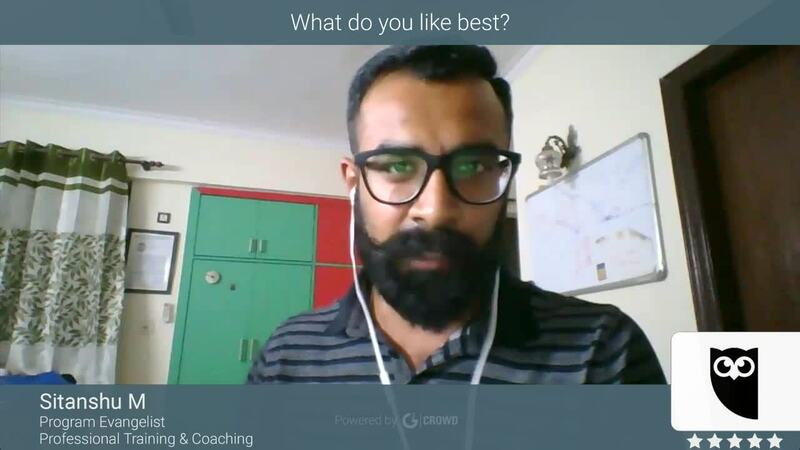 "Hootsuite is One of the Best Social Media Schedulers"
The best features of Hootsuite are the fact that you can schedule all of your posts from one place. That alone is a huge plus. Not to mention that it makes it easy to tailor your posts for whatever specific social media platform you are posting to. It is great for businesses who have a budget to invest in planning a social media calendar and scheduling a month or more of posts at a time. And it works great for individuals or even small businesses who use the free plan to post to up to 3 social media platforms at a time as well. One of the main drawbacks is that for some channels it cannot do quite as much as the social media platform itself. For example, in my experience with the free version, it has not allowed me to add multiple images to a post on Instagram. It usually just uses the first photo that I added to the post and does not include the rest. Also, for Facebook, if I've added more than one image to the post it has posted multiple posts with the same copy for each image I added. Not huge drawbacks, but just be aware that on occasions where you want to make a more "complex" post the native platforms may work better for you. Also, some of the different social media platforms have had to prevent certain streams from being allowed on the Hootsuite platform due to privacy issues, so I hope Hootsuite can find a way to work with them to get those streams back. Sign up and try out the free version! Even if that is all you use the time that it saves you and the ease of having everything in one place are definitely worth it! Hootsuite has saved me TONS of time by allowing me to schedule multiple posts ahead of time for a number of different social media platforms all in one place. It is very user friendly and has a decent user interface. Also, there are easy step by step tutorials and a great learning center if you have any questions about how to do something. Overall, I personally have not used a platform that has allowed me to do so much in one place, which is why I love using Hootsuite. "Hootsuite is quite customizable. That is good"
We like hootsuite because it allows us to focus on target groups of clients. Your keyword filtering seems excellent, very easy to optimize, and also allows you to manage multiple social network accounts without the need to log out of an account before accessing another. We like very much how simple it is to carry out supervisions of social networks, and that it allows to keep track of the performance of each publication. As social Selling software it is wrong that hootsuite does not offer any tool to perform content discovery. It does not allow handling documents of any kind, limiting the edition directly to the web platform. It does not offer any possibility of engagement tracking, nor of tracking influencers. Your analytics campaign system is quite slow. We highly recommend hootsuite. Its ease of use when publishing on social networks has made it worthy of our praise. It is also highly recommended to encourage collaboration between co-workers, since you can follow up the automated publications of each of them. Hootsuite has benefited us a lot with the speed of management of our social networks. A lot of time was spent going in and out of each account, mainly because these sometimes required identification by telephone. Hootsuite has also made it much easier to track the trends in the networks, allowing us to be quite up to date with what the public is liking. "Hootsuite is an unparalleled social media management platform"
Regarding the supervision of social networks, hootsuite offers an excellent system of configurable alerts, and allows to perform competitive analysis, which is very useful for market studies, and then implement marketing strategies for social media. Hootsuite also allows tracking of each trend of the moment, and is oriented to the group collaboration. 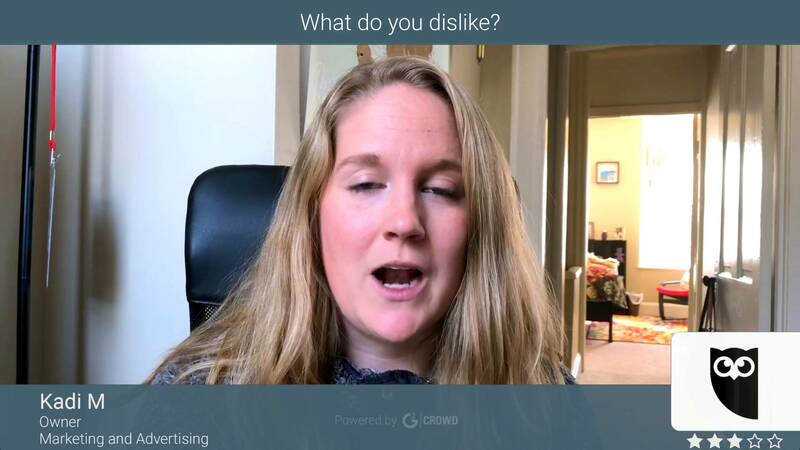 We dislike the fact of not being able to correctly control the impact of each publication, and as a social Selling software, it fails a lot because it does not have content discovery options, employee advocacy, and, of course, gamification tools. Hootsuite does not allow us to carry out audio and video conferences, and does not have a messaging tool integrated. You can not handle brainstorming either. Hootsuite is an excellent tool that saves a lot of time to the community manager, since this does not have to be entering and leaving the accounts of each social network, since all are organized correctly within the platform. It is highly recommended to follow the metrics of social networks. Thanks to the use of hootsuite our agency can be organized more simply when working on social networks. Something we like very much without a doubt is its system of group calendars, which tells us at all times who have already scheduled their publications and who do not. Thanks to hootsuite it is easier to schedule publications, and manage several social media accounts at the same time. "The social network accounts of my work I manage with this software." My position as Manager of Projects and Communications in Santa Ines UCAB health center, demands permanently to expose the work in health matter that we develop. Currently we attend more than 500 people quarterly who suffer from any type of pathology. These people receive the best medical attention from our committed doctors, who every day give the best of themselves. As Manager it is important for me to expose each one of these medical managements with the purpose of promoting our center of health and for use Hootsuite, a manager of accounts of social networks that allows me to expose texts, photographies and videos of these activities in my social networks. Hootsuite has a very efficient central panel that allows me to have my social network accounts permanently monitored, tracking every post I make. I can also schedule post according to the hours you want and always have presence on social networks. Its column system allows you to manage several social network accounts at the same time and I can also analyze the traffic on social networks, posts that are reviewed or direct messages they send us. When I met this software I could really learn how to manage the social networks of my workplace and effectively project the functions and medical management that we perform in our health center. The control of my social networks in a single central panel, and the automatic publication of post makes this software exceed my expectations and has my praise. I have no criticism of what Hotsuite has to offer my work environment. Hootsuite I recommend it to professionals who manage social networks for companies because they can control the flow of information that is published from their various social network accounts, in addition that, with a well-planned strategist, they can project the image of your company on social networks, making themselves better known among users. Since I use this software for work purposes, my performance and efficiency in the exposure and socialization in social networks of the activities carried out within the health center where I work have increased, at the same time that my expertise in the use of the social networks of my work has increased. These benefits are only offered by Hootsuite and my job growth is noticeable since I use it. "Hootsuite is our right hand in the management of social media"
It is very easy to add social network accounts to the system for later use when creating automated publications. Its price is quite economical, and it allows us to follow trends in social networks, which is excellent for planning marketing strategies. We love the fact that hootsuite allows users to write cooperatively. We do not like that it does not allow to review and evaluate the impact of the publications, nor to control the versions of each one before its publication. It does not offer chat and messaging integration, or discussion forums to at least communicate with our colleagues. It does not allow conferences, and it takes a while to load the video files that will be used in the publication, irrelevantly of the bandwidth that you have. Hootsuite is highly recommended for community managers, because if versatility at the time of programming posts is excellent, and will make the work much easier. It is excellent for supervising social media, and for analyzing the competition in a detailed manner. Hootsuite is also highly recommended for tracking trends. We had a big problem with the planning of our automated publications. Hootsuite is excellent for coordinating work thanks to its well-organized schedule system. Now it is easier for us to track the reputation of the account, and it is also easier for us to conduct market studies to focus on target groups of customers. "Hootsuite offers excellent social media management"
Something that has fascinated us about Hootsuite is how comfortable it is to organize our team of content managers. Its schedule system is very organized, and easy to use. Other attractions of Hootsuite are that it allows to automate the publications in all the most used social networks, and that can filter keywords. We do not like that when it comes to programming a publication it is difficult to find certain social network accounts added. This is because the account bar is quite disorganized, and ends up confusing the user. Another point against Hootsuite is that it is not sufficiently customizable. Something that also displeases us a little is the general presentation of the page, which does not seem aesthetic enough. We fully recommend using hootsuite. It is economical, easy to use, and does not have failures that cause our social network marketing campaigns to be affected. It is quite timely, and supports a large number of image and video formats. Without a doubt it is a good investment. It is completely worth it in many ways. The truth is that we have not encountered problems that would prevent us from working properly, but hootsuite has benefited us a lot by allowing us to take better control of each publication in an orderly manner. In addition, we have saved a lot of money thanks to its excellent price. Something we have also solved is our tracking of content metrics, which is excellent. "Hootsuite helps us do our best work in networks"
We like how easy it is to track metrics with Hootsuite. His system of writing and corrections in a cooperative way is very good, and does not confuse the members of the team. Hootsuite helps a lot to conduct market research thanks to its competitive analysis. We do not like that Hootsuite does not have a correct chat and messaging system, with which it would be much easier to keep us connected. It does not offer discussion forums or adequate version control. Now, it does not allow follow-up of influencers or audience. It is highly recommended Hootsuite if you want to manage a large number of social network accounts. It is excellent for consulting lead engagement, and for making fully programmable automated publications. We are grateful for its use, and that is why we recommend it. Hootsuite has helped us enormously to keep our work of continuous publication of posts more organized. Our advertising agency handles a lot of social media accounts, and we needed a system that helped us maintain efficiency in an orderly manner. "Hootsuite is the best in terms of social media management"
It allows cooperative writing among the other members of the team, and an excellent system of automated publications with which the marketing in social networks becomes much easier. It is very good to follow metrics and to focus on target groups of customers, thanks to its segmentation system. It does not have chat and messaging that facilitates communication to the team, nor audio and video conferences. Neither does it allow to control the versions of the previously completed posts. It does not have a platform for customer reviews or supervision of them. Does not track influencers. Hootsuite is recommended because it is easy to manage when publishing posts and managing content. It is very good as software for social Selling, thanks to its functions of lead engagement and network supervision. Your analytics reports are quite customizable, so we also recommend it for this. Now we are much more organized than before thanks to Hootsuite, which has made the work of organizing our work in social networks much simpler. Your post planner makes coordinating hundreds of publications from the different networks added to Hootsuite a very practical task, and it helps a lot that there are no errors. "Muy útil para sincronizar y organizar las redes sociales!!!" Me gusta mucho de Hootsuite lo práctico que es para ahorrar trabajo y para poder enfocarme en las publicaciones futuras de las marcas, siendo capaz de adelantar trabajo. De igual forma, me gusta la cantidad de plataformas que posee para programar publicaciones, tiene mucha variedad y es bastante útil. La versión gratis realmente te anima a adquirir un cuenta premium, me gusta eso. Es muy intuitivo en cuanto a los análisis que ofrece y la recolección de datos, es muy realista y los datos son todo sen tiempo real, lo cual permite un seguimiento mucho más especifico y real. He tenido algunos problemas de re-conexión de cuentas, es decir, que muchas veces se desconecta de alguna de las cuentas de las redes sociales, y no publica en dicha plataforma, incluso cuando no se ha publicado manualmente en la red social, y creo que eso debería ser algo que arreglar ya que es vital para muchas marcas tener todas las publicaciones a tiempo. Recomiendo altamente Hootsuite, es realmente práctico, intuitivo y dinámico. Es muy útil para mantener un seguimiento en las redes sociales así como para mantener la estética sincronizada. Es muy fácil de usar e implementar en la vida de trabajo. Hootsuite me ha beneficiado grandemente y me ha facilitado mi trabajo como Community Manager. Al manejar tres cuentas, puede dificultarse el mantener la esencia y la organización de cada una de las marcas, y es precisamente en esto en lo que hootsuite me ha beneficiado. Este software me ha permitido sincronizar y programar las publicaciones de las marcas, los días que deben salir, a qué hora y en qué redes sociales. Me permite mantener todo organizado e igual en las plataformas sociales que manejan las marcas -que son twitter, facebook, linkedin e instagram- manteniendo la estética de cada una de las redes. Me he ahorrado mucho trabajo de igual forma al usar el software, debido a que puedo programar publicaciones que se harán los fines de semanas y no debo preocuparme por ello. De igual forma, Hootsuite es tan completo, que me ha beneficiado al proveerme de análisis y recolección de datos, para poder monitorear la posición de la marca en las redes sociales y conocer el impacto que las publicaciones han tenido, etc. "Useful overview for social managers and agencies"
Our agency manages social for a number of client. Hootsuite makes it easy to see mentions and schedule posts across a number of accounts - it's a lot easier than having to log into numerous individual accounts to maintain them. Having several clients attached to Hootsuite can make managing several accounts easier, but be careful when scheduling posts that you're assigning them to go out in the correct accounts. It has made us more efficient at scheduling social media posts and managing responses. Our team is constantly adjusting and shifting, and this has made it easier to manage everything from one place without losing passwords or losing track of posts. "Good Free Social Media Software"
You can add up to three different social platforms and schedule posts in advance, eliminating the worry and manual labor that comes with posting. It is very easy to use and straight forward. The feed feature where it tracks mentions is also a plus, especially for a growing business like ours. I've heard some horror stories of going with the paid version - price and usability. Friends have told me it isn't worth the cost and that there are other better platforms out there. However, that is just "talk" and nothing I've confirmed myself. All in all, I'm enjoying the platform. If you are just starting to rev up your social media and need something that will post and schedule in advance, this is a good platform. It is limited by video in the free version - something to consider when looking at paid vs free. Scheduling social campaigns in advance - huge time saver! "Social Media managing and scheduling softwarel "
It is one of the best software for scheduling of social media platforms. It contains a feature where we can pin and unpin the platform according to our needs, and also at a time all the social media platform can also be pinned and used. The posts can be uploaded in all the platforms at the same time but only the character limit should be concentrated or else it is one of the easiest way of managing social media accounts. And one of the awesome part is there is free trial portion at the dashboard so that people starting with this platform can know more about it. From my side I'm very much satisfied in using this software, but I personally felt like free trial version allows only to use three social media platforms like they provide limitations. The drawback in providing limitations in using free version is beginners may not know about the software in depth. I would sure recommend this software to people around so that they could know more about it and also helps them schedule their works. In our company we use it for social media management, like nearly we use three to four social media platforms. Currently we use LinkedIn, Tweeter and Facebook. I'm so happy in using this software it makes my work more easier that I could sort my accounts properly according to my needs by pinning and unpinning. It helped our company a lot by reaching to people more and which is also time consuming. We could manage and schedule our works in good manner. "Great to use but with some lag"
It's a product that is easy to use and is intuitive. Love being able to create my own dashboards so that I can keep tabs on what we're posting and scheduling as well as what our followers are posting and scheduling. I also like that you can schedule retweets for the future so it doesn't interrupt the flow of your Twitter posts. At times the software can have slow loading times and freeze. Most annoyingly, this happens when trying to login into Hootsuite. I have had days where I avoid using it because the login process never completed. Also, I have had times where I was trying to save an image in the Composer beta, but it would not save. There was no error or issue, it would just would not attach to the post. This hasn't happened in the past few weeks, so I imagine it has been solved now that the Composer is no longer in beta. The key to using this product is with how you organize your dashboards. Go in there with a plan, otherwise, you'll have a bunch of information and the amount of information will feel overwhelming. We have been able to get a better sense of the popularity of our content. We're also able to organize and strategically plan the information we want to advertise on our business profiles. "Hootsuite is ideal to carry metrics of our networks"
"All social networks in a single tool"
I like that with Hootsuite you can program all your content to be published in different social networks at the same time. It is really easy to use with just a couple of steps you manage to publish in all social networks instead of doing it in each social network independently. Of the functions that most like of this tool is its anticipated programming, which facilitates the things if you know that you will be busy and you will not have time to use the tool. Sometimes it disconnects from our pages, which forces us to log in again in each social network and makes us waste time, this is very annoying. Hootsuite is the easiest way to manage all your social networks in a single panel. If you are looking for automation and good management of your social networks, this is the tool you are looking for. With Hootsuite we can program our social networks at the same time saving many hours of work. The automation of this tool is really effective, allowing us to schedule content days in advance. "Hootsuite is the best option to manage our networks"
"Social media managing and scheduling Software in one Click and Post!!." It is one of the best social media managing software which is easy to use. It includes free trials which helps the beginners experience all the required features needed and leads them to use further. It also provides tutorial at the dashboard which is clear to understand and use the software. The social media platforms can be pinned or unpinned according to our usage. I personally use three software includes Facebook, twitter and LinkedIn. It makes my work more easier while posting through this software. I personally don't have much negatives as its my favorite social media platform with highly rich features, but I have a suggestion about its cost that is for beginners it may cause little difficult to afford this software as it quite pricey. I would sure recommend this software for others because they can try free trails. The main advantage is free trials include all the rich features so that beginners could understand more about the software. And for beginners they also provide instructions which helps them guide in right path. I nearly use three of my social media accounts which is well managed through this software and makes my work easier while doing my postings. Its helping me out in making my work more easier while posting on social medias. I could share the content in one click and post in all my three social media accounts which is certainly an advantage for me. Its scheduling is by pinning and unpinning the social media as per our needs. "Hootsuite is ideal for community managers"
I love that you can schedule things out to go out across multiple forms of social media. It is super convenient to just click a couple of things and have one post go out to facebook, instagram, and twitter all at once instead of having to post it to each site individually. I love how far out in advance you can schedule things too. We schedule things like holidays out years in advance and it's so nice to know that we don't have to go in and type "Happy Fourth of July" on the actual day, because a post that we have scheduled is already going to go out. There are multiple issues that I've had with Hootsuite. I don't like how often our social media pages will become disconnected. They'll be working no problem and then suddenly I can see all of my streams except for facebook or something. It's really annoying and it is usually time consuming to get it to work again. I also get emails at least once a month with something like "your instagram post failed to post", with no other explanation. This is disappointing because sometimes I don't see it until far later and it is too late to go back and post it. If you're looking for a simple way to manage your social media all in one place, I definitely think that Hootsuite will do that. We are able to schedule our social media in batches so that we don't need to spend time doing it every single day. It is incredibly helpful to have it automated and it makes us take a lot less time setting things up for social media daily. Hootsuite is the perfect tool to improve the social commitment of any company. Your account management panel is really intuitive and easy to use once you get used to it. Each of its functions is carried out effectively without any problem and with the extra of able to use it in any place when counting with mobile application. Personally, there is nothing that disgusts me about the tool, it works as it should and it has the functions that I need to be able to work. For management of social networks in the business environment Hootsuite is the best solution. I recommend using it if you want to save time and expand the social reach of any company. The programming of publications in multiple social networks has facilitated the work to my team. Previously we did all the actions manually and we lost a lot of time. Likewise with Hootsuite it is very easy to analyze the labels and in this way to obtain a greater commitment from the public. "Hootsuite is Good with Minor Limitations"
Our team of media and communication developers has used Hootsuite for 3 years with good success. I have compared them to other competitors like Buffer, and although each software has their drawbacks, Hootsuite remains on the better ones. It's easy to use dashboard, host of functionalities, and fair pricing makes it worth using to manage your social media accounts. One drawback I have is that you do not have the ability to bulk schedule social media posts. In our media campaigns, we have to post several similar posts over a period of time and as of right now, they all have to be done manually. Make it possible to allow bulk scheduling of the same posts over a period of time without having to manually input the posts individually. Allow users to import larger size media files. Hootsuite allows our agency to consolidate all our media channels into one, easy to use interface. We can schedule posts, analyze metrics, and answer comments, messages, and questions from the dashboard. It is fairly priced too. "An unmatched and easy-to-use social network manager "
In a meeting we had about two weeks ago in our work we proposed this software to make a detailed monitoring of our social networks linked to the work, the results have been great. Hootsuite is a very easy to use social network manager with a central panel where you can add up to 10 social network accounts and manage them from this central panel. In addition to this feature, it allows to project and enhance the activities we do in our sports organization thanks to the effective management of our social networks and the links we establish with our users, sponsors and customers. We have also benefited from this software and its use as we have increased user traffic through our various social accounts. Without a doubt the pioneering software in the management of my social accounts. Until a couple of months ago we could use this software for free and without any problems, however, in a new update we lost this benefit. We had to add a credit card to be able to use the software in trial mode for 30 days. We received this update without notice, and we were quite disappointed. However, the president of my organization is evaluating the possibility of buying the software and continuing to use it as it has brought too many benefits to our company. This is a software designed for great challenges concerning the management of social networks. I recommend this software because it is quite comprehensive, you can grow your brand among the public, you can promote and project the work that is doing your company, you can expose the activities you do, in short, is a software quite adaptable to different types of companies regardless of their occupation. This software has been one of the best we have used in our company. Motivated to our activities in depressed social sectors and with young people and children, it was important the projection of our work in social networks, making us known as an organization and thus be able to reach more and more impoverished communities. Hootsuite has made us grow in social networks and has made us known to all kinds of public who have been interested in our activities, schedules, and type of activities for development. "Hootsuite is a great platform and must have for educators and students!" Love the ease of the platform and how it integrates new tools and features. Most importantly, the community Hootsuite offers is super important! They have great team members who are able to answer any questions AND they have tons of resources here to use their tools. It's the complete package! No major dislikes here! 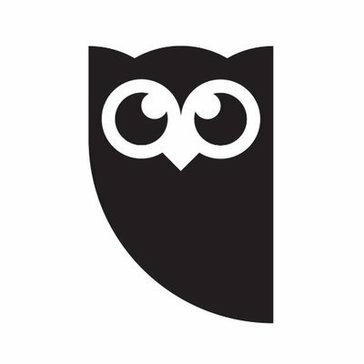 I think Hootsuite has done a great job in making sure they are transparent on any changes that are happening with the platforms, which is great to see. It's good to see a company being up front and engaged with their user base and providing updated features, resources, and tips on what to do with these changes. Very impressive! Really is the complete package here for community support and integration of new features. I am an educator and use Hootsuite to listen and monitor conversations for my own accounts, as well as for our class clients. It's been a great tool to manage communities and listen to conversations, as well as build campaigns. "All social media profiles in one place"
Being able to schedule content for days to come, in more than one social platform at once, is definitely a great benefit. After doing a research, I have found that Hootsuite is one of the few social media management tools that gathers all the main Social Media platforms into one tool. I use the professional plan, and despite the fact that I am a paying customer, I find the analytics provided to be missing more information, and the fact that I would have to pay even more to be able to simply download the analytics data is something that I find unfair. It is a good platform to manage any social media profiles into one place. Has some issues but I think they will be working with them along the way. If the main focus is to have a good analytics tool, this wouldn´t be my first choice. It is a one-in-all very useful tool to be able to manage all social media accounts that I have to manage for 2 companies at the same time. Definitely helps to be able to do it all in one place. "I handle all my social networks in a very complete way"
This software is one of the most complete that I have used. Thanks to him I can manage the social network accounts created in my office. This I make it very easy since Hootsuite allows concentrating all my social network accounts in a central panel, making it easier to monitor them. I can also schedule messages related to the requirements necessary to process medical aids for the people who need them, I can place the time I want to make this publication. A software that has everything what it looked for since it provides much facility to handle the social networks, at the same time an easy monitoring of the accounts. Undoubtedly, it is a very versatile software and I do not have any negative comments about the features that it offers me. "Effective Social Media Scheduling Platform"
I like that hootsuite is super easy to manage several social media platforms at the same time. With the free version, you are limited to the number of platforms and number of scheduled posts, but you can still do up to 30 scheduled at one time! It makes planning and posting to various social media platforms super easy! You can upload your media, use hashtags, tag other people or businesses, and review your feed. It stinks that for the free version you are limited, but it is definitely better than nothing. I really don't have any complaints I like pretty much everything about hootsuite so far. In order to use hootsuite across several social media platforms, you need to pay for the business account and it is a bit pricey. It's not terrible though. Expanding our brand across social media. Hootsuite helps us stay in the loop, even after regular business hours! Plus, it allows us to interact with customers in a different way than face to face. 4 Years Ago Hootsuite was suitable for small bushiness and people want to save time and energy that time there is no Snapchat, Stories everywhere you go. Static posts so there is no challenges that time and Hootsuite was good enough to seclude your work follow your comments with a very bad analytics tools and insights but you can't get all of things from one tool. When tech develop our world you have to catch up what is happening Hootsuite Stopped developing and he was happy for what he did , not publishing for stories no more development for adding new social media platforms no new tools for analytics i try many times to speck with them for adding stories scheduling for Instagram or Facebook and I believe that they will not add or develop that in the near future so I dislike that they don't develop any new features in their App no adding any new thing they are happy but their clients are not. I am searching for a new provider that meet my requirements but I am still using Hootsuite till I find a better alternative. - Before they resolve the scheduling problem but noways this is not enough. "Perfect for automating social media posts"
I like the ability to schedule our social media posts with a few clicks. The post previews are useful for planning and arranging subsequent posts. The scheduler is very useful in tracking your progress and post spread. Their new dashboard is a bit slow and sluggish, even though it looks better and easier to use. Analytics tools are limited in features and require you to upgrade to higher packages. It's one of the best tools for the job, because it's very easy to use. It's also nice to have most of your social media tools in one place. However, if you're looking for more features, you might want to look elsewhere. We automate our social media reach through this tool. We create content at a steady pace, and can spread out our publishing times easily to maximize reach. Analytics tools are nice to have, but not packed with too many features. We use other tools for this job. "Works exactly how I need it to"
I have the free version of this software, so I can only post to three different social media networks. This works for me, however, as that's all I really need to post to for my job. It allows me to post in advance and keep up to date with social media postings from one consolidated site. There is not much to dislike-- it is user friendly and makes my life easier at work. I do have the free version, however, so if I ever wanted to post to more than three places at a time, I would not be able to. Besides that, it does everything I need it to do! If you need to post to more than three social networks, consider upgrading to premium. I used the trial for a week and it made life easier when I needed to post to more places. The benefit of posting regularly without having to take time out to post to three individual places is wonderful-- it saves time, energy and hassle. Also, being able to schedule posts ahead of time is something I never knew I needed, but now I use it all the time. If I know I'm going to be extra busy or out of the office, I can schedule my posts to go out when I want them to. It's like having a little personal assistant to just click that "send" button for me. "Organization and ease of use"
I manage multiple social media accounts for multiple company divisions. The way that hootsuite is set up it in the dashboard makes it easy to stay organized. Being able to schedule posts is key as well as it allows you to create your post and then move on to other tasks. I also think that a very nice plugin that they offer is the hootlet plugin. This allows me to post articles that I find while online, that relate to and will benefit our customers, directly to hootsuite without having to save the article, log in to hootsuite, and then post. It really is streamlined and easy to use. There is nothing that I dislike after using it for more than two years. I would say that if you are considering Hootsuite sign up and give it a try. There are plenty of tools that allow you to understand how to maximize your use of the product as well as obtaining a certification in Hootsuite. Staying in front of customers via social media. We have to remind our customers that we are relevant and up to date with the current marketing outlets. "The Best Partner For Digital Marketing"
Hootsuite allows adding all social network accounts to just one account on Hootsuite, where we can easily see all updates and news in one window. Apart from the list of casual media which come to mind first (Facebook, for instance), the solution provides access to your data on such platforms as Foursquare and WordPress. Through applications, it is possible to add some other unique media. The best thing is that just by adding the accounts you have or manage, Hootsuite will show you in one place all the information you need to measure how your campaigns progress according to the objectives set for each of your clients. They have invested a lot in covering most of the existing social networks. For digital marketing entrepreneurs it would be good to have much more economic plans, which would translate into greater profits for the company. If you have several clients, and want to offer a better service, it is worth investing in this tool, it will help you to present a more professional and precise work about what you do and would like to contribute to each client. Yes, you will say that there are native tools that do the job. It is ideal to measure the effectiveness of my work as a Community Manager, it is surprising how specific can be the segmentation of the followers of my clients. It is another vital tool to know what needs to be implemented in the marketing campaigns in order to attract new followers and thus reach new business niches. "The useful social media management tool.."
Hootsuite integrates with a large number of social media channels like Twitter, Facebook groups,LinkedIn, Instagram, Youtube etc. Its only social media management tool to have a free plan with a trial. It helps for keep track and manage the social network channel. It will enable you to monitor what people are saying about your brand and help you respond immediately. Another advantage of using Hootsuite is the interface of it which will allow the users to divide activiteis into social networks and streams. Telling about the disadvantage one thing I noticed is that the social network icons are very small as it making difficult to determine which social media were being posted to. Also I come up with little difficulty while posting on Twitter. Our company is using Hootsuite for updating our social media platforms and also for managing the social medias. "Social media aggregator - for admins"
2. Ability to schedule posts and sync content placement is one of the reasons I feel vindicated when my billing date is due and I receive that debit from my card.I could never properly coordinate 'Surgical' posts in all sites but now I can. The GUI is plain boring... It looks like something on my old DOS platform, Hootsuite, you can do better... Much more than that! Our social media management (all of me.. Lol) is able to efficiently manage multiple sites and this means less time is spend moving between different sites and repeating the same mundane tasks.
" A basic program but very effective." It is a program that I have been using for a long time, although I have not been able to acquire the paid version. The services offered in its free version have been very useful to meet the essential needs of my clients. I attend the main social networks and I can plan the contents that I am going to publish and that feed the identity of the brands I manage. Facebook, Twiter and intagram I can handle them pleasantly, and programming the contents leaves me time to attend other projects and responsibilities. With certainty I can say that in this program it is difficult to identify flaws, since it is a quite complete tool that allows me to do quality work. What I can point out is the amount of limitations that the free version has and that as far as I have been able to read, the paid version caters for you. Do not be afraid to try it, you will not waste your time. It is a great application with a huge potential, when you start using it you will find a friendly and very intuitive software. It allows me to save a lot of time, to have all the content that is going to be positioned on the social networks of my clients, it leaves me a lot of space to carry out campaigns with a higher level of creativity and to impact our target audiences desicivamente. "An excellent complement to my career in photography"
Quite competitive and easy to use software that has contributed greatly to the exposure of my professional career in photography and design. - I manage all my social networks in one central panel. - I can customize Hootsuite to my personal and work tastes and demands. - I can use Hootsuite wherever I want, I just need my Android phone or a pc. - It is a software that can work cooperatively, ideal for our team because we need to correct and add new content in a single account. Sometimes I dislike the fact that many users use Hootsuite in an improper way, making them lose the true meaning of this powerful tool. I mention this because many users use the automatic publishing tool with the sole purpose of spamming their accounts and social networks, losing seriousness and quality of information transmitted. I recommend that the Hootsuite team look for a way to regulate the use of this tool or punish users who use it wrongly. I highly recommend this software to all those professionals who want to enhance their social networks through a professional management, since Hootsuite is a tool used by Community Managers, but, although it has enough features to be used in our social networks, the software is very easy to use and greatly facilitates the management of our social networks. Without a doubt, Hootsuite has been a very positive ally for my professional development as a photographer and graphic designer in the company where I currently work. Elements that for me are fundamental as user traffic in my social networks, review of all my social network users in a single panel, and a constant monitoring of each of my accounts in social networks, are only possible thanks to Hootsuite. "Software to manage all my social networks in one control panel"
- I can save a lot of time to manage my social networks thanks to its central panel that allows me to include all the social network accounts of our publisher, without having to open each account separately, allowing me to take that time saved to create intellectual content and post on the networks. The message programming is a fantastic tool as it allows me to generate content and program schedules in Hootsuite for the software to post automatically, this adjusted to the schedule of my convenience and the days I want. It has an excellent system of traffic analysis and posts in social networks, which allows us to establish projections and be able to measure our growth in social networks. Another problem I find is that the free plan is very good but has important limitations such as the use of more than 5 social network accounts or statistics that Hootsuite throws are too basic, we have to do the deepest analysis on the traffic of our social networks. To all those who wish to project their brand, company or business group can do so I recommend this software. From hootsuite I have obtained many benefits for our Editorial and in the fulfillment of my fucniones as Editorial Coordinator. On the one hand we have been able to add traffic, followers and many mentions in our social networks, this thanks to the fact that we can manage our account in a productive way thanks to the control panel that includes all my social networks. I could say that Hootsuite has made us much better known in all social networks, and that's why I recommend this software to everyone who wants to project a project, a brand or a product on social networks. "Great for social media management "
I liked that I could schedule social media posts ahead of time. This allowed me to share my posts with co-workers and have time to proof read our work before posting. It also allowed me to schedule posts for peak traffic time on the various sites without worrying about cramming those slots into my busy schedule. AND it did not cost money to use! I did not like that I was unable to share my posts with other emails, so only one person or account could edit social media postings at a time. it also did not provide any data on how many people were viewing and interacting with social media posts after they were published. Hootsuite is free to use so I recommend trying it out if you are looking for a tool to help schedule and edit social media posts. Look elsewhere if you are looking for data analytics or more collaborative tools. The problem I used this to deal with was finding time to create and edit effective social media advertisements during the different peak times of various websites in my busy schedule. I realized the benefit of pre timing posts at my leisure and perfecting them by allowing other coworkers to manage my work. * We monitor all Hootsuite reviews to prevent fraudulent reviews and keep review quality high. We do not post reviews by company employees or direct competitors. Validated reviews require the user to submit a screenshot of the product containing their user ID, in order to verify a user is an actual user of the product. Hi there! Are you looking to implement a solution like Hootsuite?